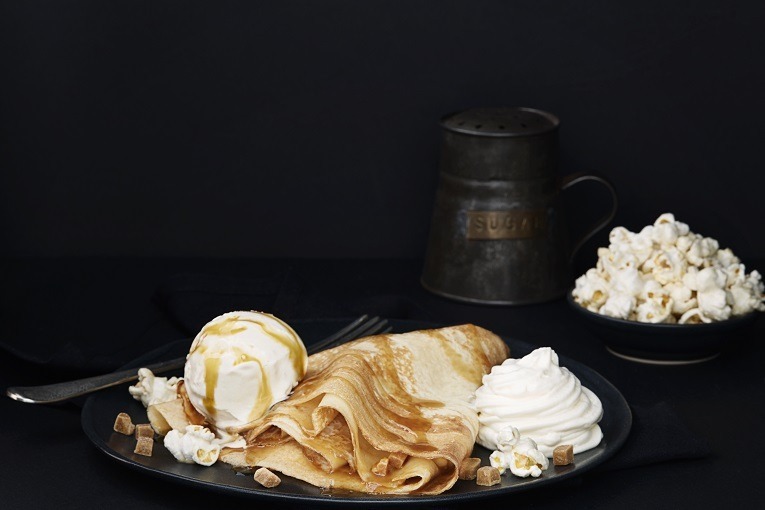 Crêpeaffaire has launched an exciting new luxury menu featuring a range of indulgent crêpes and shakes. Ferrero Rocher Extravagance: Nutella, walnuts, and Ferrero Rocher. To top off the new luxury crepes, all of the new additions are finished with your choice of cream or ice cream! It doesn’t stop there, to compliment the new Luxury Indulgence range, Crêpeaffaire is also introducing an assortment of luxury shakes featuring the Oreo Cookie Shake, made with chocolate ice-cream, cookie crumb, cream, Belgian chocolate chips and Oreo cookie, as well as the Salted Caramel Popcorn Shake with vanilla ice cream, popcorn and salted caramel. These opulent fillings and ingredients are sure to get your tastebuds tingling.